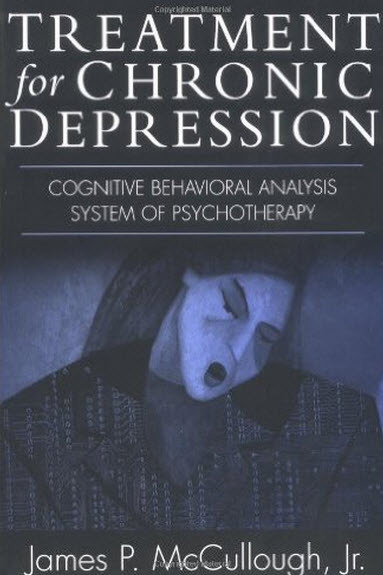 Cognitive Behavioral Analysis System of Psychotherapy (CBASP) is an evidence based treatment for chronic depression. Global thinking: Thinking in overly general terms or distorting the perception of events. Despair: Thinking that nothing you do will ever make a difference. 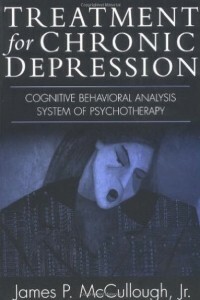 CBASP addresses these symptoms by breaking down problems and interactions into specific components and teaching you how, by understanding more clearly the impact of your actions and statements have on others you can see the day to day consequences of your behavior, and find new ways of interacting with others that leads to a sustained improvement in mood. For a story that illustrates some of these points follow this link. Session One is usually devoted to reviewing the rationale for the treatment and answering your questions. There is a video that your therapist may ask you to watch. You may both go through a brief presentation that was put together in our clinic to explain CBASP. You will probably be asked to come up with the names of four or five people in your past who had a significant impact on you and how you feel about yourself and your relationships. Session Two is usually focused on gathering a Significant Other History. This is a summary of your experiences in a few very important relationships that shaped your view of yourself and the world and that influences how you act in those relationships, and therefore what happens to you in important relationships in your life. Your therapist may fill out with you this form for each of those relationships. You will want to think about the Transference Hypothesis carefully and it may be necessary to review and revise it. Ultimately it will be an important aspect of the ongoing work of CBASP. Your therapist may ask you to review this video after (or before) the second session that talks about the significant other history and transference hypothesis in more detail. CBASP involves two types of interventions that are both designed to teach you new ways of dealing with relationships which can make you much more effective in those relationships (so you get what you want) and, as a result, you will no longer feel helpless about your life. The Situational Analysis is the activity that will take up most of your time in treatment. You will be asked to write down a detailed description of events in your life that are associated with disturbing emotions. The exercise is designed to focus on one part of a problem or relationship at a time and explore with you solutions to each “slice” of the problem. This avoids getting you overwhelmed with “global” thinking (“I never get what I need). It will help you understand the effect you have on others and how your behavior may be contributing to the problems you have in your important relationships. It will train you how to be a goal-oriented thinker rather than someone that thinks about relationships in vague and emotionally charged language. From time to time you will experience strong emotional reactions in your sessions with your therapist. This may be uncomfortable, but it will be an opportunity to change the way you experience relationships by noticing carefully what happens in the session itself. This “hotspot” experience will be analyzed in terms of the Transference Hypothesis that you developed with your therapist. Your therapist will point out similarities, and differences, in your experiences of the relationship with your therapist in these “hotspot” moments and your experiences in the formative relationships with significant others in your past. You will be asked to rate the events using this form.